Jobs pointed to HTML5, a W3C proposed standard, as the preferred alternative. The W3C released a new working draft of HTML5 on October 12. The development work is continuing at a near-feverish pace (by W3C standards of developing standards). HTML5 is hot. 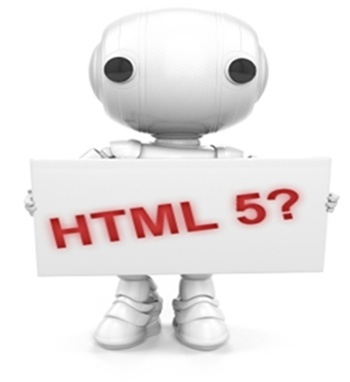 In a May blog entry I covered Scribd’s dramatic commitment to HTML5 in lieu of Flash. The W3C is investigating the possibility of incorporating voice recognition and speech synthesis interfaces within Web pages. A new incubator group will file a report a year from now summarizing the feasibility of adding voice and speech features into HTML, the W3C’s standard for rendering Web pages. AT&T, Google, Microsoft and the Mozilla Foundation, among others, all have engineers participating in this effort. But not all the news is positive. ZDNet reported this week that Facebook found that Flash still outperforms HTML5 for video on mobile devices (albeit modestly), “a zinger of sorts” in the Flash war. And InfoWorld found a W3C official who stated that despite the hype, the HTML5 specification isn’t yet ready due to interoperability issues. …quoted the blogger on his blog. Please read my previous post to catch up on the story thus far. Last Thursday Steve Jobs lobbed the big grenade with a major public attack on Adobe’s Flash. On Friday Adobe CEO Shantanu Narayan replied via a 15-minute video interview with Alan Murray at the Wall Street Journal. Shantanu is gracious and assured, even going so far as to compliment the iPad as a good first-generation device. You can hear (or read — it’s subtitled) the interchange for yourself, but his key point is that the Flash issue is a smokescreen designed to conceal Apple’s desire for proprietary lock-in versus Adobe’s open “multi-screen,” “multi-device” business model. Ultimately, Narayan concludes, Adobe will let consumers decide. 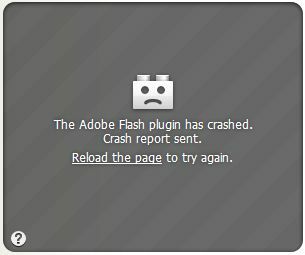 It’s this, not whether Flash itself is allowed on Apple devices that’s the real crux of the disagreement between Apple, Adobe and many other ISV (independent software vendors). Jobs, and all the other analysts, who have tried to turn this into a debate about whether Flash is, or isn’t good, enough for the future of mobile video are misleading us. That’s a red-herring. The real issue is who controls access to the platform. And, behind all the rhetoric, Apple wants absolute control. 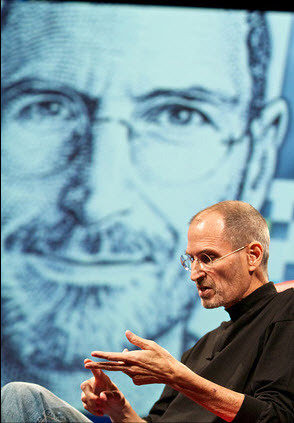 The App Store and the iTunes Store have taught Steve Jobs that ownership of the sales channel is vital. Even if he’s reduced to giving the machines away, as long as he can charge rent for access to data (or apps) he’s got a business model. He can also maintain quality (whatever that is), exclude malware, and beat off rivals. 1. Force developers to heavily, perhaps irreversibly, invest in Apple’s platform and in the process avoid alternative tool, services and runtime platforms, an area where Apple has traditionally had no expertise and where Adobe and others have a substantial advantage. 2. Provide some breathing room for the fledgling Apple advertising business, which the company obtained through the acquisition of Quattro Wireless for $275M, soon after Google signaled that mobile advertising is going to the big leagues by buying AdMob for $750M. Flash is a favored format for delivering interactive and video advertising — dozens of companies offer measurement, analytics, ad selection, targeting and delivery solutions based on Flash. Adobe also recently acquired analytics powerhouse Omniture for $1.8B. By blocking access to Flash, Apple is blocking a big portion of the advertising ecosystem from its platform, giving itself a substantial short-term advantage. Emily Steel reports in the Wall Street Journal that Apple is planning on milking that advantage. Meanwhile, the great unwashed masses are raising their hands also. 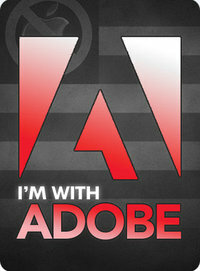 A new Facebook group called “I’m with Adobe” as of tonight has over 11,000 members. 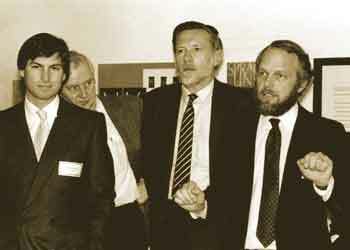 There are five different “I’m with Apple” groups, with a combined membership of 25. Mashable ran a similar poll. I took screen shots of the results about four hours apart, and someone is stuffing the ballot box!